It is a life-size plastic model. It responded to English-language commands. It picked up and dropped a small ball. And it swiveled its head to follow people. 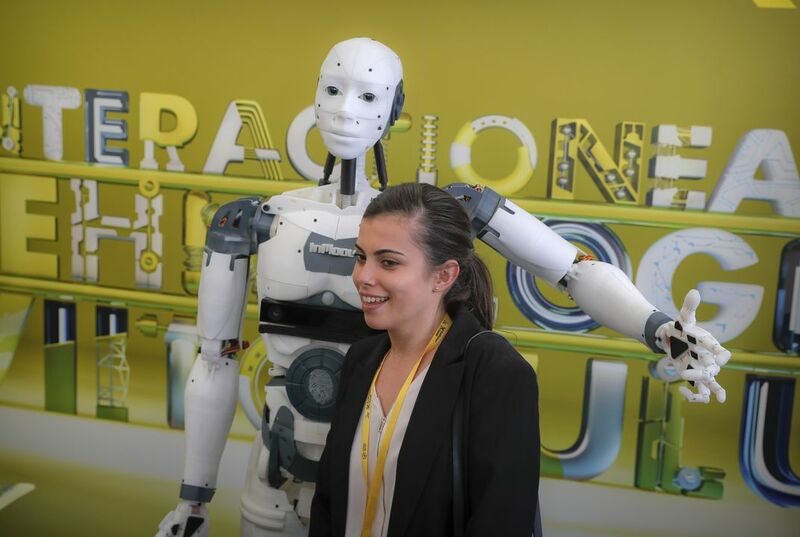 Designer Gael Langevin showed the robot at a technology fair. It was in Romania. The idea developed from a prosthetics hand he made in 2011. The hand was the first-ever made on a 3-D printer. The robot is made with a 3-D printer and micro-cameras. 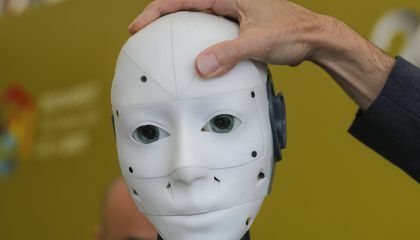 It is hoped the robot will be used to help children in schools and hospitals. If connected to the internet, it can answer a variety of questions. The questions are taken from Wikipedia. Langevin admits his model is not yet perfect. It is called InMoov. "He is awesome," Adrian Margineanu said. She is a student at Bucharest's elite St. Sava school. "I like it a lot. I'm tempted to make one." His robot can be programmed to speak English, Spanish and French. It can also speak Russian and Dutch. Romanian graphic designer Paul Popescu has been making his own robot. He has plans to program it to speak Romanian. I think it's really great that there using it for a cause not just for fun and wasting high Tech stuff for the robot... There acaully using the robot to help kids with school and learning which is absolutely great! Although it used a lot of money in my option... At least it's going to a great cause that could really help kids learn and grow there education! I think that the robot uses micro cameras because that way it can 'see' and make the people feel more comfortable then a robot that stares into space.